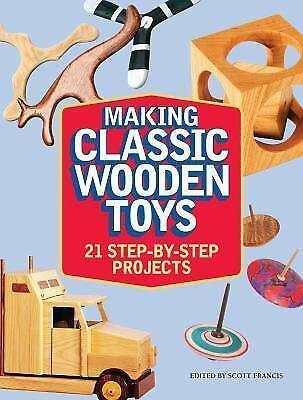 The book that I found Making-Wooden-Toys-and-Gifts-21-Step-by-Step-Projects-By-Popular-Woodworking uses a table saw and dado blade to cut out the notches. The instructions show how to make them using a table saw. I don't have one, so I made this one using a tenon saw and a miter box. To be effective, the interlocking puzzle pieces should slide easily, but a fit that is too loose. 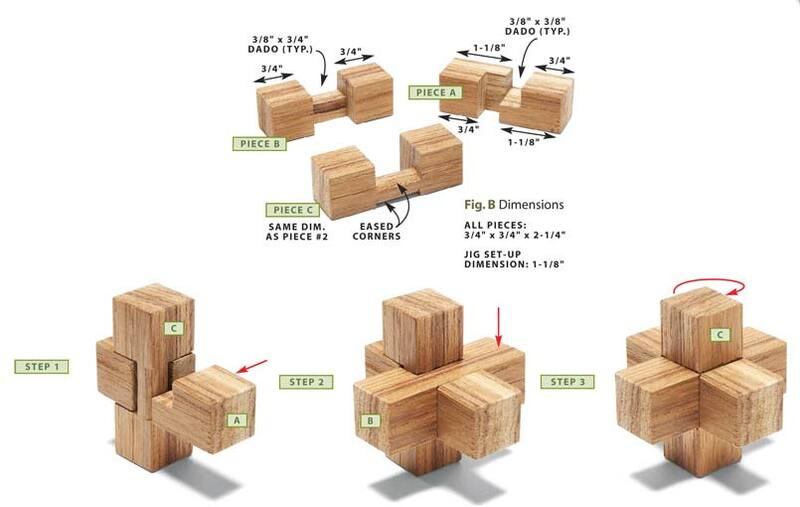 To make this puzzle, I used 19mm square dark maple. If you have a hard wood with a distinctive grain, that would give this burr puzzle a more interesting appearance. Vernier calipers are normally used in metalwork, it helped me with making accurate cuts and getting the right fit. Perhaps we can call it the Goldilocks fit, not too tight, not too loose, just right. 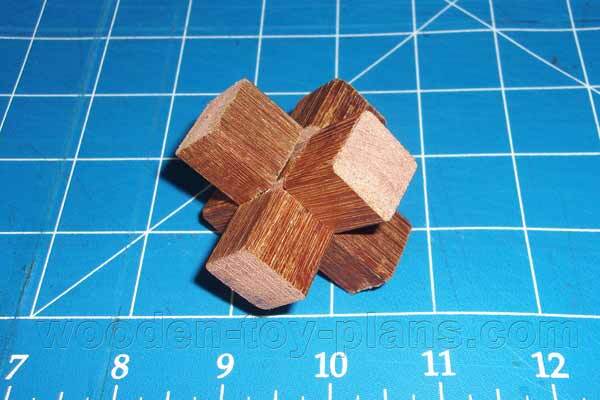 Once you have made one of these burr puzzles, you will know what I mean. You can save the image to your device or download a PDF copy of the 3 piece burr puzzle. This is how I made the 3 piece burr puzzle. You may like to follow these instructions or make it a slightly different way. There are always certain challenges with any project, and it is always good to see how someone else has met these challenges. For example, I am using 19mm square project timber from my local hardware supplier. Turns out that the timber is slightly thicker in one dimension, so I had to make slight adjustments. I find it easier to make incremental adjustments using a rough file or sandpaper. 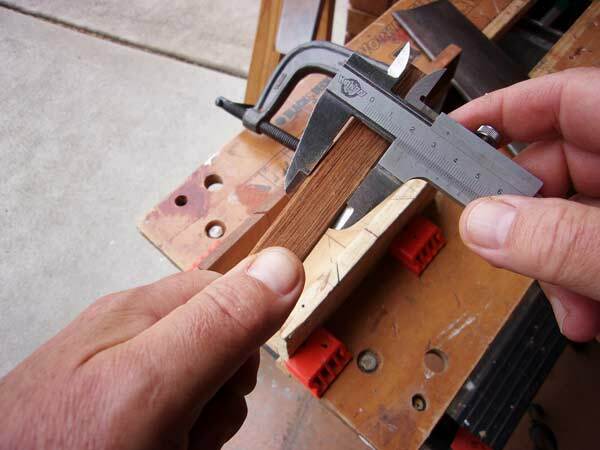 Laying it flat on the workbench, and rubbing the work-piece back and forward, checking the fit with the calipers. This is my set-up with the miter box. Taking advantage of the fact that there is two sides, I have clamped a stop at 2 unit lengths on one side, and 3 unit lengths on the other side. Also have an extra piece half of a unit length to cut the grooves that are half the width. To test the setup, I cut a test piece. 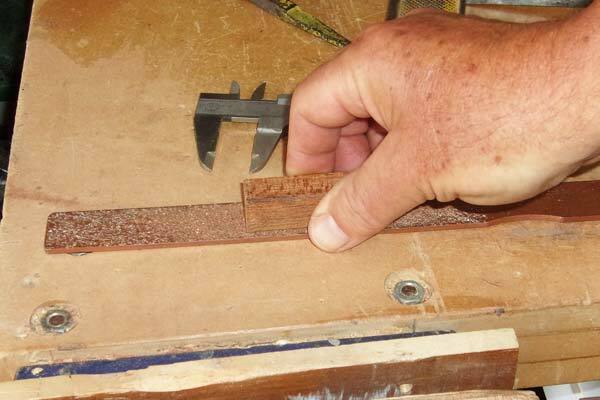 The length of the test piece will determine the fit of the groove. So, I cut the length on the side that is 3 units long. The idea is to cut a groove and test the fit. It should be able to slide easily without being too loose or too tight. Going over to the other side, where the set-up is 2 unit lengths, cut a slot about 1/3 deep on each end, remove the waste with a 16mm chisel, and test the fit. In this instance, it was a bit too loose, so I made an adjustment to the stop. 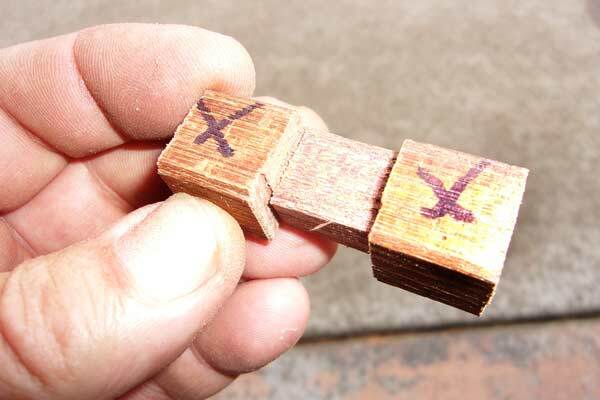 Rather than waste this test piece, I cut another groove on the adjacent face, until I was happy with the fit. In the photo, I have marked the side that fits best. Now I have a what could be called a master piece, which is what I will use to match the rest of the pieces. One more piece is important in this project, a piece that is half the thickness of the material, used in cutting the slots in the piece marked "A." 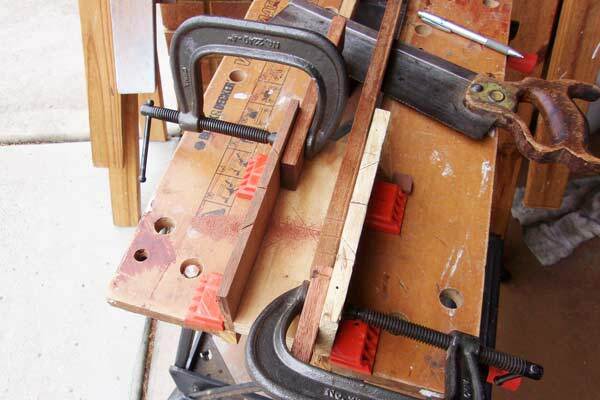 I use this piece in the miter box set-up to cut the dadoes to half the width.